Stock market has seen a good correction in the past few weeks as escalating fear took over global economy. The fall in the Indian equity market gained momentum soon after the sudden announcement of demonetization of currency by the government. This correction has two outlooks. On one side, it has wiped out hundreds of billions of dollars market value across the world (including India) and on the other side; it has created an immense opportunity for the long-term investors. Definitely, the fall in the market seems more of an over-reaction but people aren’t going to think the same until they have a reason to think otherwise. So, how should one invest in such uncertain times when the market globally is facing a crisis of confidence? Is investment in current scenario seems viable, when the return on cash is so low when bonds are becoming volatile as stocks, when commodities surges and crashes in a span of few weeks? This is the best thing an investor should do in uncertain scenario (very simple to the current market situation). Most people have a tendency to react impulsively in down markets. The investor who goes for market timing often ends up destroying his/her ability to meet long-term financial goals. Thus one who tries to lock in current portfolio return by cashing out and again timing back in stocks seems to be a bad idea for general investors. Debt to a certain extent is good but when it goes beyond your repaying capacity, it may lead you to big trouble. If we look at the western world, such exorbitant government borrowing has brought its citizens to the default risk. Say if you already have any credit card loan or a car loan, it’s better to pay it off before investing a single penny in equity market. Rather you may think off investment in the stock market only when you are clear with all your debts especially the high-cost ones. Most investor has a tendency to concentrate their portfolio in any particular asset class. However, the better idea is to spread your savings across various asset classes like bonds, stocks, property or gold. Say if a person started early and has a higher investment horizon; it’s a good idea to invest a large part in equities. Moreover, apart from portfolio allocation, reviewing the status of your allocation from time to time (at least annually) is equally important. Join our NSE Academy Certified Technical Analysis course and learn how using your trading psychology you can make money from stock market. History suggests that market rebounds and grows over time. The important question is that what is your time horizon and for how long you want to remain invested. Say if you are thinking to invest for the long term say 5-10-20 years, buying the stock at every dip would be a good strategy. The reason being long-term investment gives you enough time to ride through the market volatility. Moreover, do not chase for the bottom if you are thinking long term.  Read More: How to identify value stocks the Warren Buffett way? It has been often seen that the level of speculation increases during a bull market. In the bear phase, people have a tendency to make up for their earlier losses. However, it would ideal for the investor to go with the tried and the tested one during increased volatility in the market. It’s better to stay calm and remain patient when fear runs high in the market. It’s better to take advantage of the mad chaos rather than panicking over the situation. Lastly, patience is a great virtue in times when everything seems really bad. Before you invest in the stock market learn how to manage your trading psychology.